Pros: This version of SimCity is more intuitive and less difficult than its predecessor. Cons: The game suffers from a fuzzy artificial intelligence as well as avoidable technical glitches. Bottom Line: SimCity does a great job teaching kids about cities by putting them in control of designing them, but this game needs a constant Internet connection. Kids can run their own cities in large multiplayer regions. These regions can be created as private games so a teacher or student can invite players from a single classroom or school to participate. You can challenge your students to build cities that meet specific criteria and then have a class discussion about what was sacrificed and why. 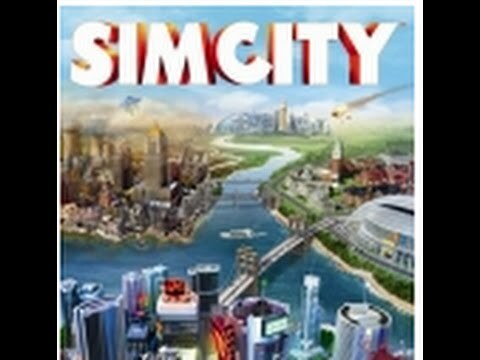 SimCity is an always-online, fast-paced, intuitive, and forgiving city simulator that lets kids build (and destroy) single-player cities in multiplayer regions. Kids playing together in the same region can develop their cities into specialized economic powerhouses that cooperate on great works, such as an arcology, to benefit the whole region. It's possible to create a private game as a single player and to manage all the cities in it. To start a successful town in SimCity, players need a judicious mix of residential, commercial, and industrial zones, as well as access to power, water, and sewage. Once a kid secures power, water, and sewage facilities and some roads, electricity and water automatically flow to homes and businesses via those roads, and sewage flows back from the homes to its outlets. In previous games, players had to spend more time and money laying pipe and stringing power lines. As kids play, they discover that each part of the interface is assigned to a specific government function (such as education or transportation), which flashes yellow or red when it needs the player's attention. Advisors and concerned citizens frequently pop up to offer advice and recap what the city needs. Players "plop" buildings and upgrade them to satisfy cities' demands. Kids must balance taxes and spending to keep their cities safe and prosperous, while monitoring demographic, economic, and environmental data. The game provides striking visualizations of cities' statistics. Playing SimCity focuses kids' attention on what makes a great city. Players learn about city management by trying different things and learning from the outcomes. The game lets kids quickly attain a relatively high amount of success so they'll want to keep playing. They respond to visual and textual data to make decisions that relate to happiness, property value, taxation, and spending. Kids must balance the budget, run a surplus, or issue bonds to keep afloat. A city that goes bankrupt freezes unless its player can get enough money to run the government. Players can trade resources among cities within a region. Income and costs are calculated by each hour of game time. New players may need help planning so they don't try to buy everything at once and run their cities into the proverbial ground. SimCity teaches a lot about city management, but it doesn't focus on human needs or ways to develop community apart from monetary success. The game feels much more forgiving than its predecessors, especially SimCity 4, but its requirement of a persistent Internet connection will be troublesome in some school settings. Despite the game's technical problems, kids will love building bustling and attractive cities, although each is boxed in. Kids learn about cities by building and managing their own. They can see the consequences of their decisions and learn about architecture, budgets, environmental issues, and more. Between the game's advisors and interface, kids will almost always have an idea of what to do next and how to do it. Describe situations in which opposite quantities combine to make 0. For example, a hydrogen atom has 0 charge because its two constituents are oppositely charged. Understand subtraction of rational numbers as adding the additive inverse, p – q = p + (–q). Show that the distance between two rational numbers on the number line is the absolute value of their difference, and apply this principle in real-world contexts. Solve real-world and mathematical problems involving the four operations with rational numbers. Integrate and evaluate multiple sources of information presented in diverse formats and media (e.g., visually, quantitatively, as well as in words) in order to address a question or solve a problem. Integrate information presented in different media or formats (e.g., visually, quantitatively) as well as in words to develop a coherent understanding of a topic or issue. Great app for teaching 5 themes of geography. This app is not an everyday app that the students will use. The app is good for a project or independent practice . I liked using the app as a project because the student engagement was very high. The students were able to exemplify their knowledge of the 5 themes of geography by making and then comparing their cities. It must be noted the teacher must stay on top of the kids in order to make sure the students are using this app for educational purposes.